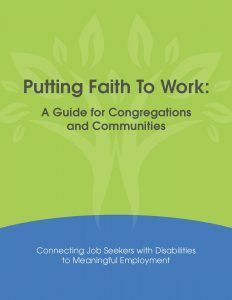 Collaborative activities include developing and providing coordinated training, technical assistance, research, and product development in the area of inclusive spiritual supports to people with disabilities and their families, local seminaries and divinity schools, university programs, clergy, congregations, and service providers. 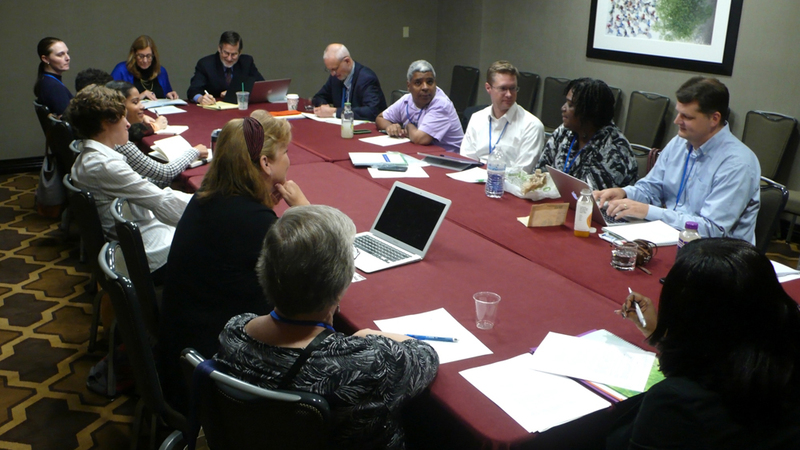 Please visit the Collaborative’s Upcoming Events page for the latest information on upcoming webinars, conferences and the annual Summer Institute on Theology and Disability. 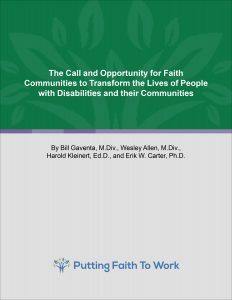 Putting Faith to Work: The Call and Opportunity for Faith Communities to Transform the Lives of People with Disabilities and their Communities (Gaventa, Allen, Kleinert & Carter, 2017). 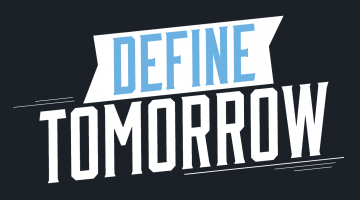 Religion and Spirituality Division of the American Association of Intellectual and Developmental Disabilities (AAIDD). 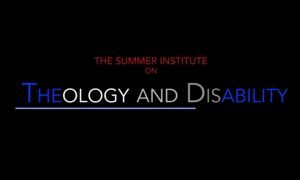 View videos from previous Summer Institutes on Theology and Disability (2010–2017).